closest to the object and provided the most prolonged and comprehensive account. The object sighted by the police officer. 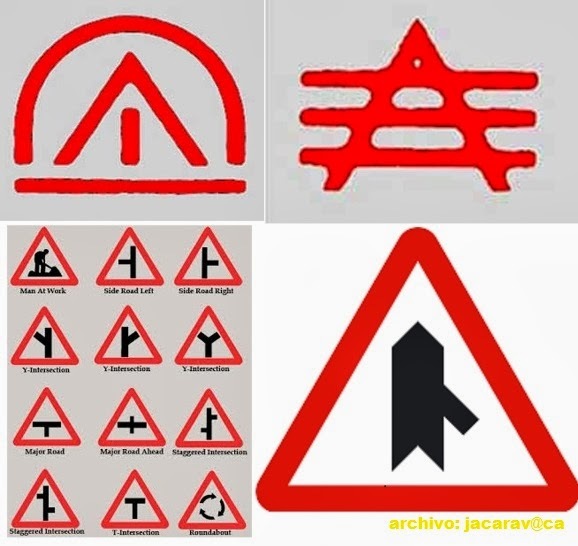 for the military, law enforcement, and civilian UFO groups. 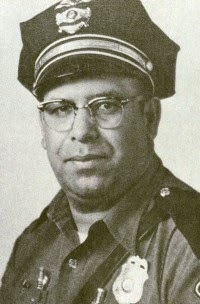 The officer Lonnie Zamora, is considered one of the most reliable witnesses of the UFO world casuistry. crew wore white, in coincidence with the small humanoids described by the police. 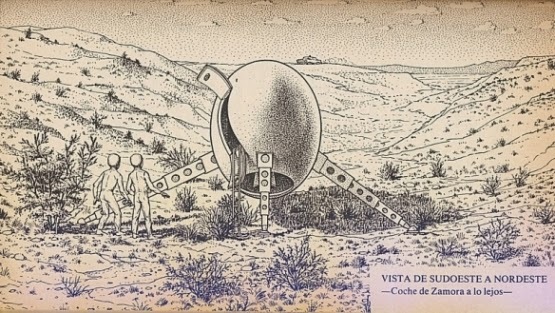 Also the circumstance that the fiction spacecraft lands on a desert is given. Lonnie Zamora Did he see this episode of "The outher Limits"? 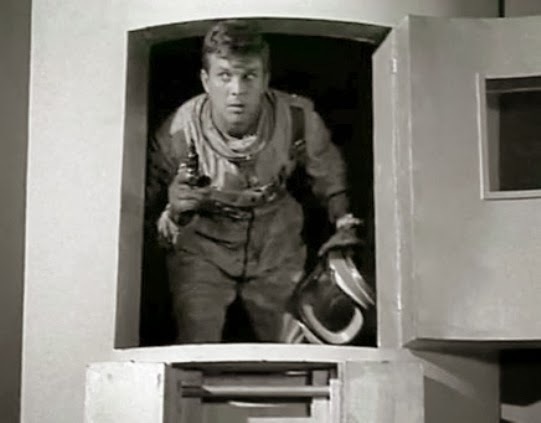 ..
Spacecraft in episode of "Outer Limits". 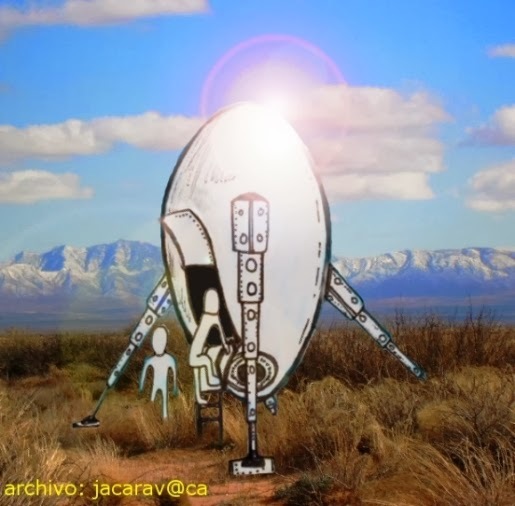 The device, created by the authors of the popular science fiction series, curiously takeoff and landing is very similar to that UFO observed by Lonnie Zamora . The program was broadcast six months before the spectacular experience of the police officer. 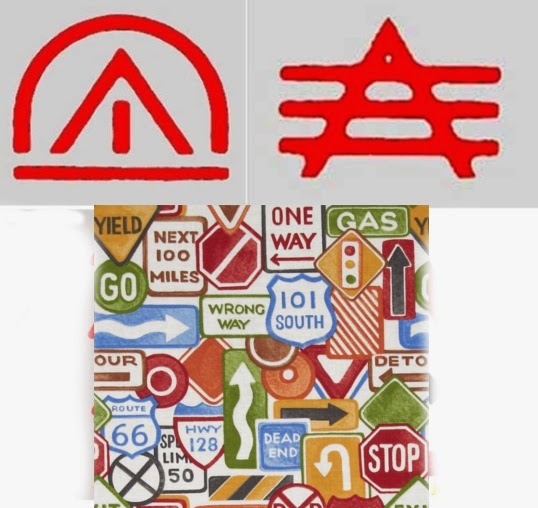 Is clear that in the psyche of the witness had multiple references to lines, arrows and line drawings (traffic signs) as curiously observed in the 'alien' alleged emblem.